Aspire Hometown Realty is the resulting vision of Lisa Aguilera and The Aguilera Team. After five years with Keller Williams, Lisa decided it was time to forge her own path. Aspire Hometown Realty is not just another real estate company - we are THE local experts, driven to provide the best possible service to our clients. The majority of our team grew up in the area and continue to have their finger on the pulse of Tracy. 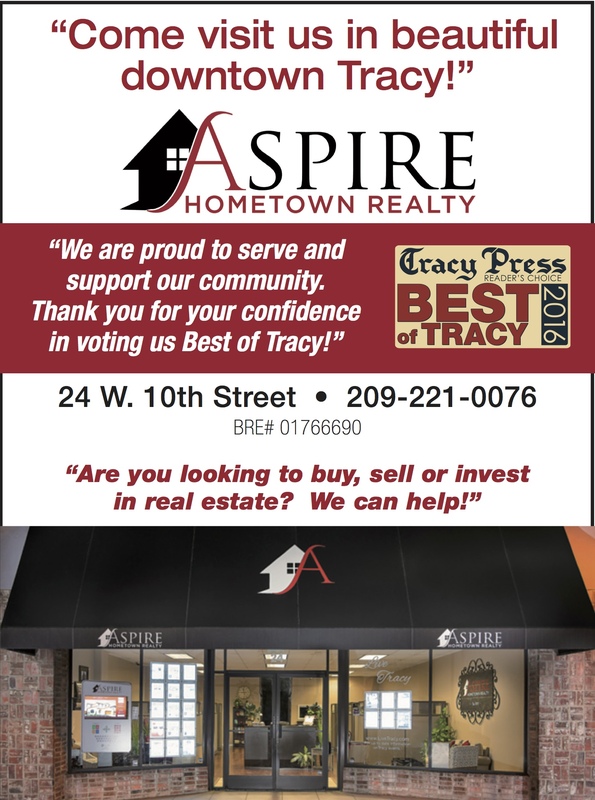 Aspire Hometown Realty and the Community - Lisa Aguilera serves on the Tracy Chamber of Commerce Board of Directors, while Carol Blevins and Zanna Wolfgang are Chamber Ambassadors. You can learn more about our team under the Our Agents tab.